“The City’s Edge” focuses on a failed engineering project—one that was on track, and then disappeared in the dead of night. There’s more than one gigantic engineering piece in this story, which made it fun to write. When I received the anthology invitation, I decided not to write a story in my usual sf universes (Diving and the Retrieval Artist). The stories would’ve been too long, for one thing, and for another, I have loyalty to Asimov’s which usually publishes those first. However, that tied me up in serious knots. How do I write about a major sf engineering project without reaching into my usual sources. I’m not really a near-future kind of hard sf writer, although I thought about doing something. I couldn’t find the hook. So, I read a few books on historical projects and something in a book on the New York subway system caught me—all the started and failed parts of the project. I realized I’d been looking at this wrong. Projects work after a lot of failure. That led me to my character, which led me to the story. Characters, setting, emotion. We writers need to take our readers on a vacation to a place they’ve never seen before and will never see in their lifetime (we hope, in some cases). We always remember the characters more than the idea of an sf story, because we’re social creatures. We get our information from each other, and our stories too. Over the last few years, I expanded my Retrieval Artist universe with the Anniversary Day saga. That large project made me ignore the Diving Universe, so I headed back to that with a vengeance. The Falls, a standalone novel in the Diving Universe, just appeared, and another novel will appear in that universe next year. I’m still not done, though, and I’m currently writing about yet another group of characters in that large setting. And that doesn’t count all the editing I’m doing for Fiction River or some of the other editing projects on the hopper. Plus, I have a mystery coming out next year under my Kris Nelscott pen name, and I’m catching up on short fiction after too long a hiatus…. Back to your question, though, what should readers pick up? 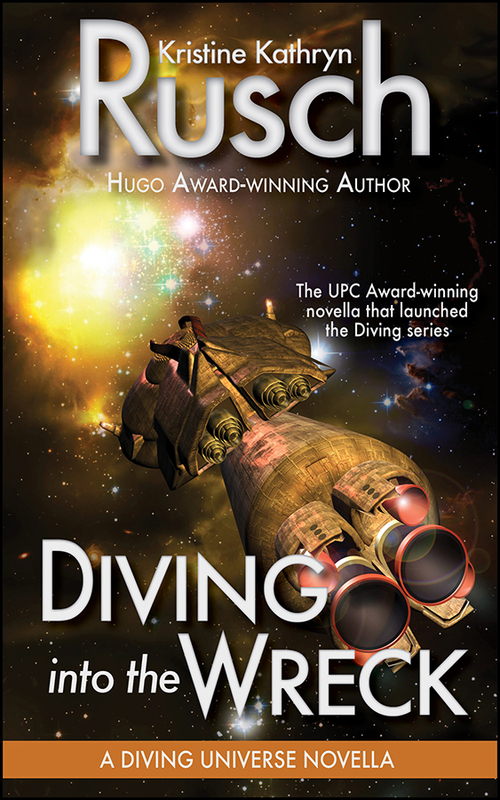 My Diving Universe books will probably appeal to the folks who like this book. Start with Diving Into The Wreck or pick up The Diving Bundle, which is a group of collected novellas, and go from there.